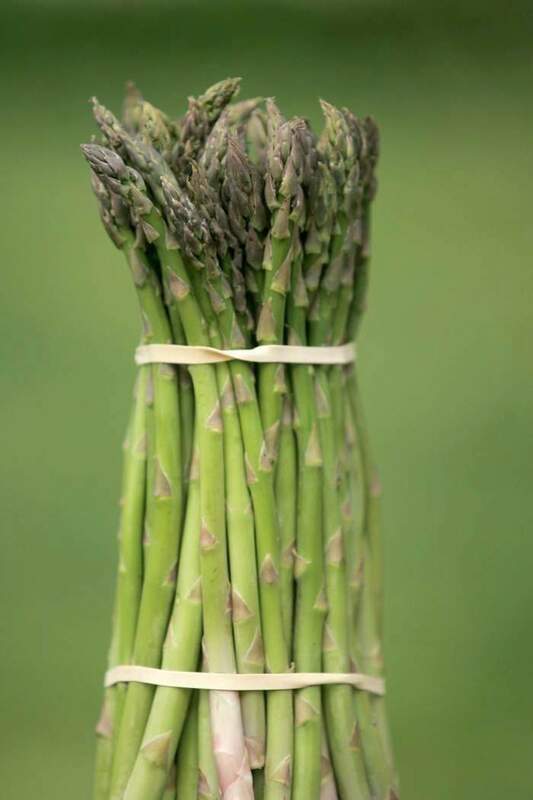 Green, crispy, and crunchy, asparagus is one of the first vegetables to surface in the spring. It’s ready for picking when the 6- to 8-inch stalks are bright green and straight and the tips are compact and tightly closed. Besides its delicate flavor, asparagus is a good source of vitamins A and C, and minerals. And, because it is fresh, the flavor is truly amazing. Thousands of years ago, asparagus grew wild along the coast of southwestern England and in the steppes of Russia and Poland, where it was eaten like grass by horses and cattle. It was also found in ancient Greece and considered a favorite by the early Greeks and the Romans. Asparagus was first cultivated about 200 BC and became more popular in the 1600s, when it appeared in the London markets. Today, we appreciate asparagus as a healthful vegetable. Asparagus, a member of the Lily family, is a fat- and cholesterol-free food extremely low in calories-just 20 calories per 8 medium spears-rich in minerals, and a good source of protein. Asparagus is best when used soon after harvesting. 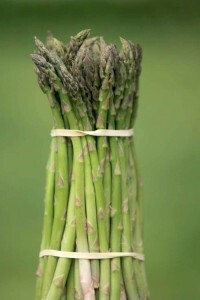 If you plan to use the asparagus within 2 days, wrap the stalk bottoms in a damp paper towel. Store in a plastic bag and refrigerate. To maintain freshness up to 3 weeks, immerse the fresh spears in ice water; drain and place in plastic bags. To store for even longer periods, blanch the spears for 3 to 5 minutes. Package and freeze. Asparagus cooks up quickly and easily by steaming, boiling, microwaving, oven-roasting, or stir frying. Call the Farm Store at 609-924-2310 for availability. Don’t forget to check out our asparagus recipes.